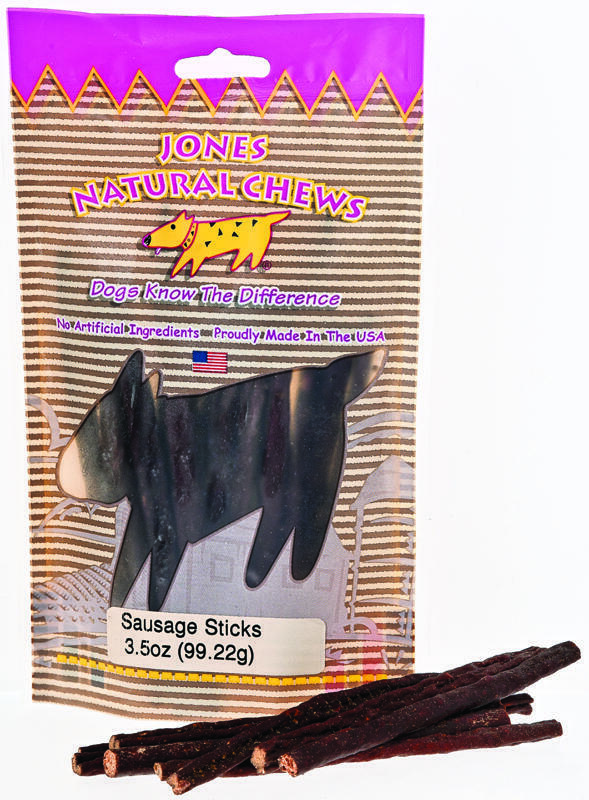 The all natural Sausage Stick from Jones Natural Chews is, in my humble opinion, one of the best training treats around. They snap into small pieces, appropriate for any size dog. Let’s take a look at what makes the Sausage Stick tick. JNC Sausage Stick makes dogs smile. And sit. And beg. And stay. Well, maybe not stay. The Sausage Stick from Jones is incredible mostly because there are only three ingredients – Beef, rye flour and salt. And guess what? All three of those ingredients are grown on American soil. Well, I don’t know how salt forms, so I can’t necessarily say it’s “grown” in America. Salt is magical, like microwave ovens and fairy dust. Shh. Just go with it. All three ingredients are USA sourced, m’kay? From potty training to teaching them new tricks to just giving them a goodie, Sausage Sticks are a great way to reward them. 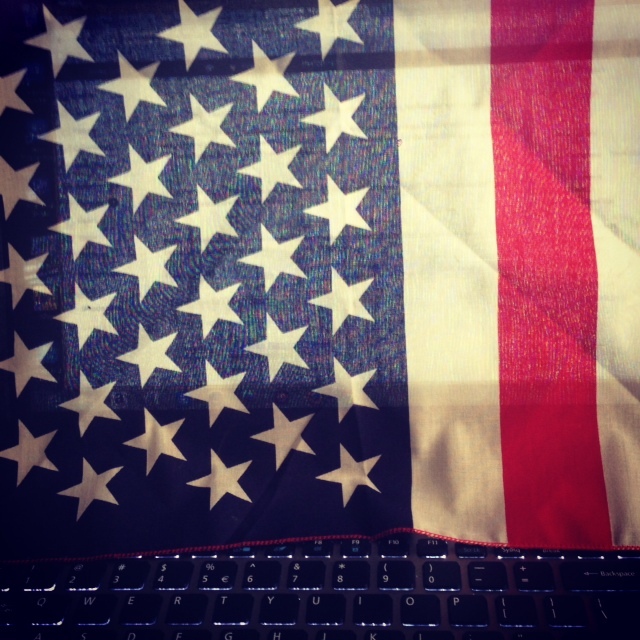 They are USA beef and about 5-5.5″ long that break into little pieces easily. Sausage Sticks are oven baked with only two natural ingredients. Don’t they sound yummy? Mmmm. 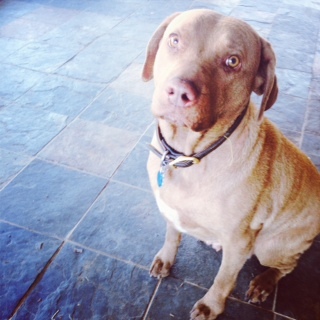 And Jones is right about the Sausage Sticks being great for training puppies and rewarding all dogs. Chewy will even vouch for them. Chewy, Chewy, Chewy. 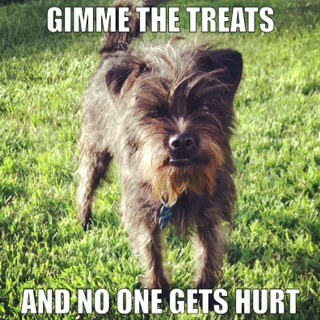 It’s gimme the JONES treats and no one gets hurt. I try to always have Sausage Sticks on hand, in the pocket of my jeans, in a sandwich baggie in my purse, wherever I go. Like last night – I was at a meeting and sat next to a woman who has two Yorkies. We talked for a bit about how much she loves her three pound dogs, then I dug into the pocket of my jeans and pulled out three Sausage Sticks, one piece of Beef Liver Taffy, and half a piece of Big Paw Jerky. The look on her face was priceless. A total stranger digging loose dog treats from her pants’ pocket. Humans may look at me funny, but the only time dogs look at me funny is when I DON’T have treats. Dogs know. 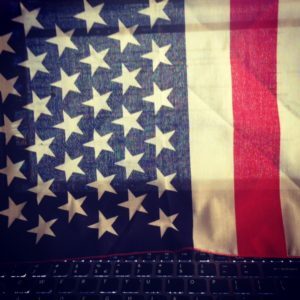 It’s part of why I love blogging for Jones. Just to see the look on someone’s face when I hand them a treat, like you’d give a stranger a piece of gum. Unwrapped. Yeah. So! What’s my point? My point is, all dogs love Jones Natural Chews. 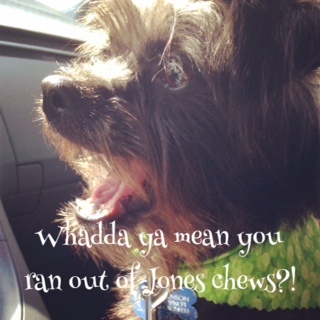 Your dog loves Jones Natural Chews, whether you know it or not. Jones makes dogs SMILE. So find them for your dog. Today. Really. Seriously. Or else. Or else your dog will be sad. So sad that it will break your heart in two and you will cry and cry and cry. Your poor dog. See Ash? Ash the Chessie is sad. Her heart is breaking. All she really wants is a treat from Jones. By withholding that treat, I’m breaking her little dog heart. Poor, poor Ash. OR you can enter our giveaway by clicking this sentence and entering at the giveaway post! I should say and, not or. This contest runs two weeks, then it takes two weeks to get the Sausage Stick. Your dog can’t wait that long. So get them now! AND enter the giveaway! P.S. Today’s post is gently recycled. If you’ll notice, there’s a discrepancy about the Sausage Stick ingredients. Two ingredients or three? Well, two main ingredients – beef liver and rye flour. The salt is a smidge, meant to preserve. So really, two or three is in the eye of the beholder. I’m going with three.